Chris Williams (medical physicist) and Kos Kovtun (radiation oncologist) work at the Brigham and Women’s Hospital/Dana Farber Cancer Institute. They are developing DICOM VR because of fundamental need to work with the increasing complexity of volumetric medical imaging. This work has recently been funded by a Brigham Research Institute Shark Tank grant. Volumetric imaging, such as CT or MRI, is an integral part of medicine but is currently restricted to displaying 3D information on a 2D screen. Limitations of this include difficulty in defining non-coplanar anatomy, inaccuracy in contouring due to interpolation and an increasing need for users to mentally create 3D models as treatments become more complex and non-coplanar. 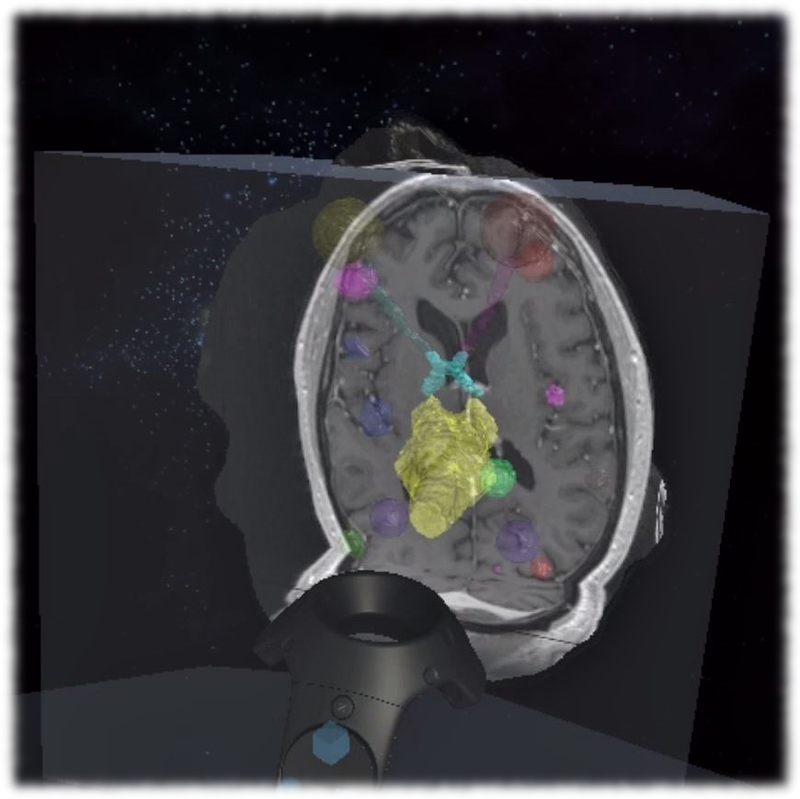 Leveraging newly available virtual reality hardware, we are developing a system that enables clinicians to intuitively view and manipulate medical images in a 3D virtual reality environment to improve the speed, safety, and precision of image-guided cancer treatments. Copyright © 2017 DICOM VR. All Rights Reserved. Copyright © 2019 DICOM VR. All Rights Reserved.